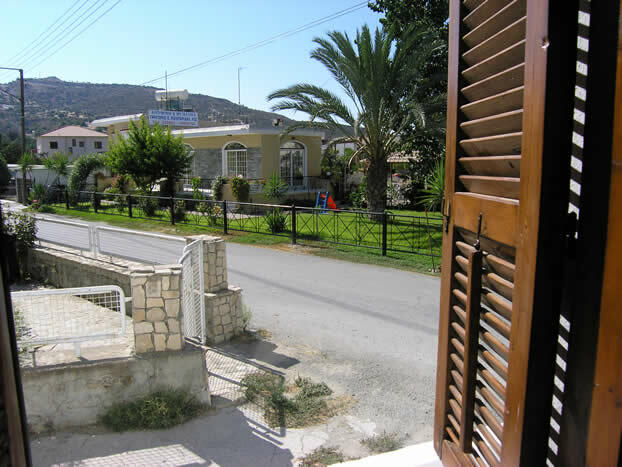 village which is off the Larnaca/Limassol highway, just after Kophinou village and is about a 10km drive to the nearest beach called Pentaschinos. 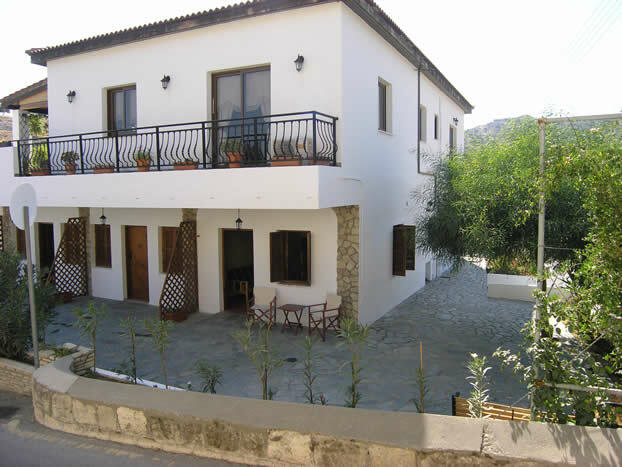 The apartments can be rented out individually or can be rented out as a whole suiting larger groups and families. The owners live in the upper part of the house so are on hand for any assistance during your stay. 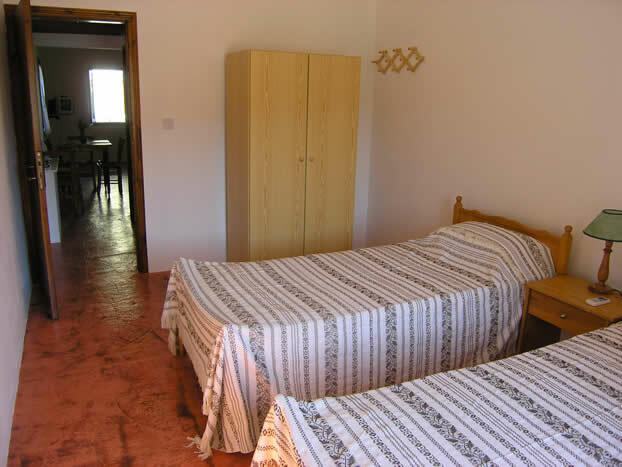 Four ground floor apartments, three having twin beds and one having a double bed. There is a sofa bed in the lounge of each apartment for *one extra person. Ceiling fans in the lounge. 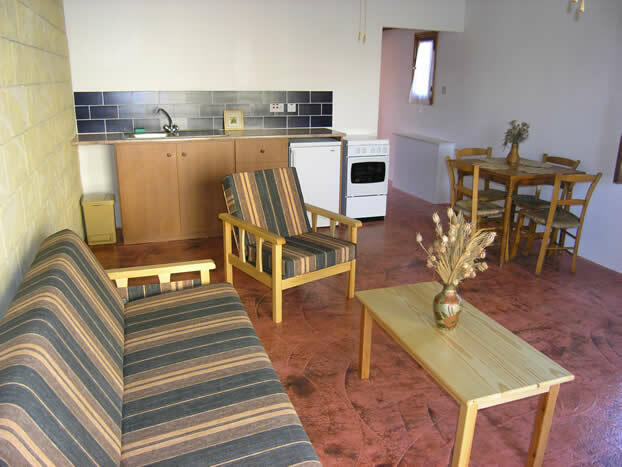 Kitchen is fully equipped for self catering and has an oven, fridge and kettle . DISTANCES: Governors beach is about 20 minutes drive along the beach road or further along the highway. 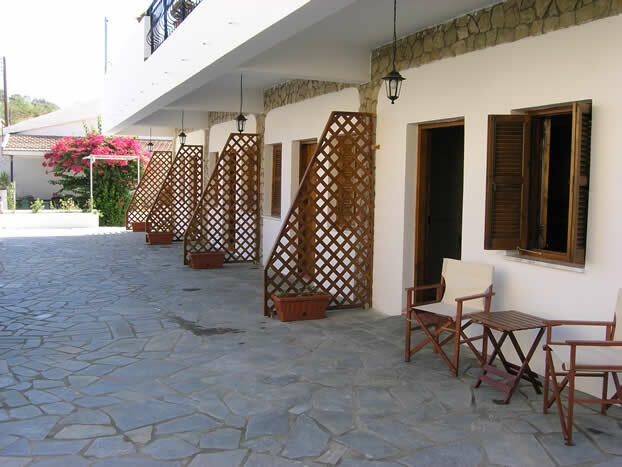 *Extra person from EUR5.5 to EUR9 per night. These apartments are available on long term lets. Prices on application. In bedroom at extra cost of EUR5 per night. Cruise on a 2, 3 or 4+ day cruise to other Eastern Med places including Israel and The Greek Islands.